Chief Justice David Maraga: President Uhuru Kenyatta was not validly elected on 8th August but computer generated as claimed. "Canaan is still on." James Orengo - Bana Kenya News, Real African Network Tubanane. The NASA Deputy Chief poll leader James Orengo who was the main lawyer in the supreme court case against Uhuru re-election bid won the case after the Six bench judges nullified the 2017 August IEBC presidential elections results. The Supreme Court has nullified the re-election of President Uhuru Kenyatta. A six-judge bench, by majority decision, on Friday found that the electoral commission failed to conduct the polls according to the Constitution and Elections Act. "Elections is not an event but a process. After considering the totality of the entire evidence, we are satisfied that the elections were not conducted in accordance with the dictates of the Constitution and the applicable principles," Chief justice David Maraga said. "That President Uhuru Kenyatta was not validly elected on August 8.". Judges Ojwang and Njoki Ndung'u dissented while judge Mohammed Ibrahim did not take part in the decision because he is unwell in hospital. 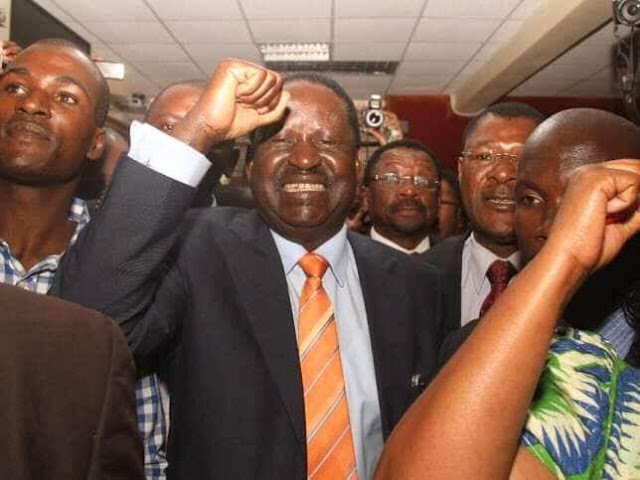 The top court in Kenya, in a bold move, ordered the IEBC to conduct a fresh presidential election within strict confines of the law within 60 days. Lawyers who represented President Kenyatta and the IEBC protested the judgment and sought explanations and clarifications from the judges. It is alleged that the Jubilee party officials failed to cash the judges. It is also rumored that each judge was to pocket 500 Million. Justice David Maraga who is an SDA church leader refused to confine his faith as the other Judge Mohamed Ibrahim refused and later hospitalized.